When NaCl dissolves in water, the ions separate and go their own way in solution; the ions are now written with their respective charges, and the (aq) phase label emphasizes that they are dissolved (Figure 4.3 “Ionic Solutions”). This process is called dissociation; we say that the ions dissociate. 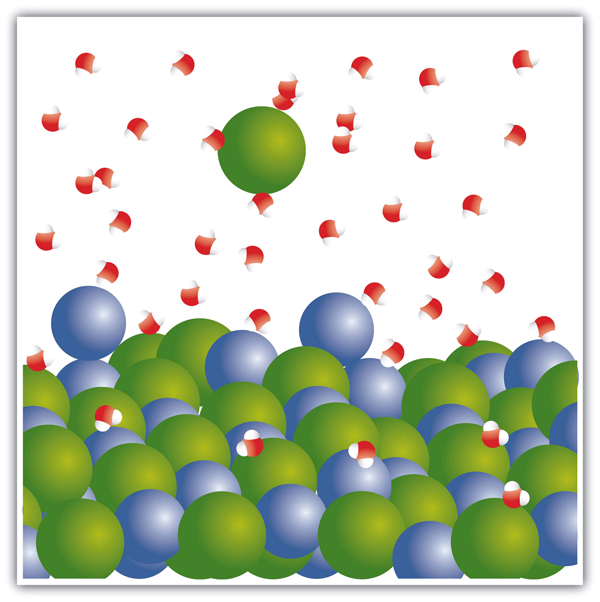 When an ionic compound dissociates in water, water molecules surround each ion and separate it from the rest of the solid. Each ion goes its own way in solution. 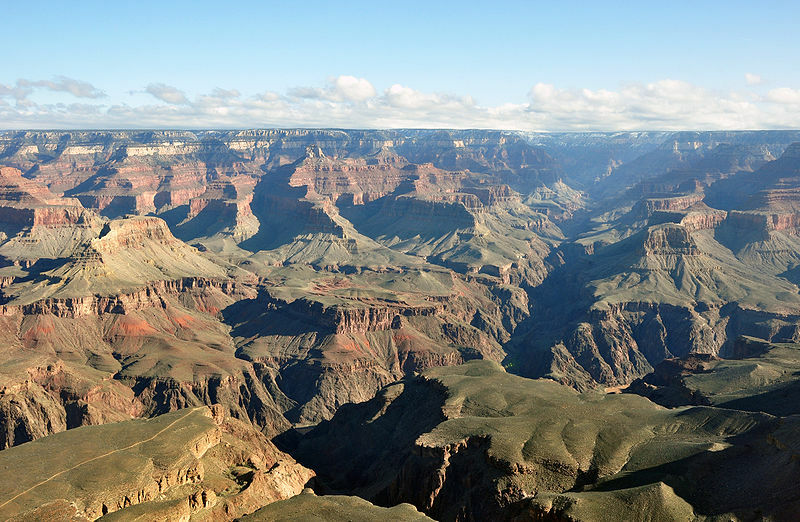 The Grand Canyon was formed by water running through rock for billions of years, very slowly dissolving it. Note the Colorado River is still present in the lower part of the photo. Ionic Equations: A Closer Look by Jessie A. Key is licensed under a Creative Commons Attribution-NonCommercial-ShareAlike 4.0 International License, except where otherwise noted.